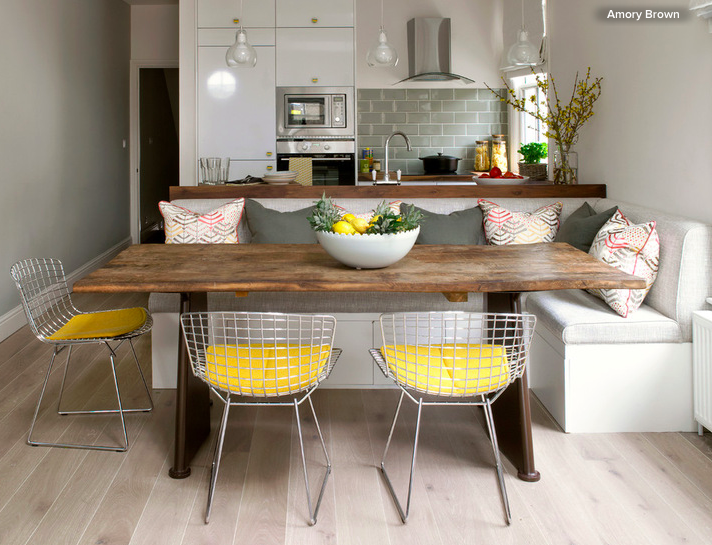 If you have a kitchen seating area, put your own stamp on it with soft furnishings and colourful accessories. 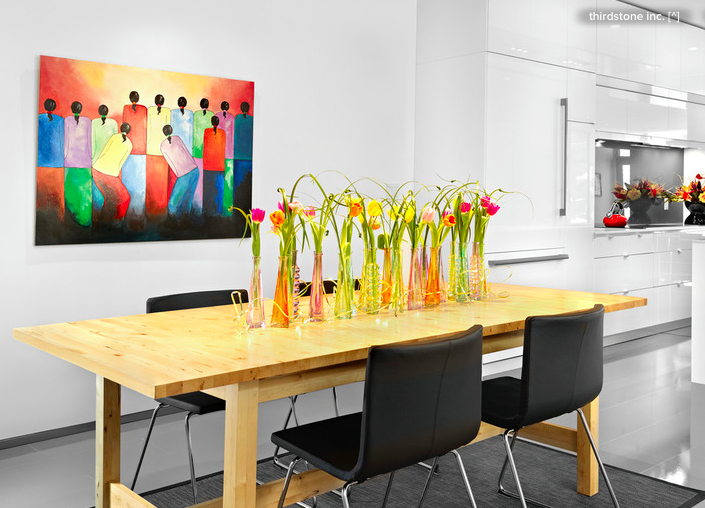 Cushions, crockery and even a bowl of fruit will brighten up the space a treat and create a cheerful mood. Kitchens in rented homes tend to be on the conservative side, but you can work around the standard neutral or monochrome units with colourful accessories. From containers and appliances to tea towels and blinds, kitchen décor is rich in colourful options. Brightly coloured bed linen is one of the fastest ways to dress up a bedroom – a coordinated sheets and duvet set can take the whole mood from drab to fab in about 5 minutes. 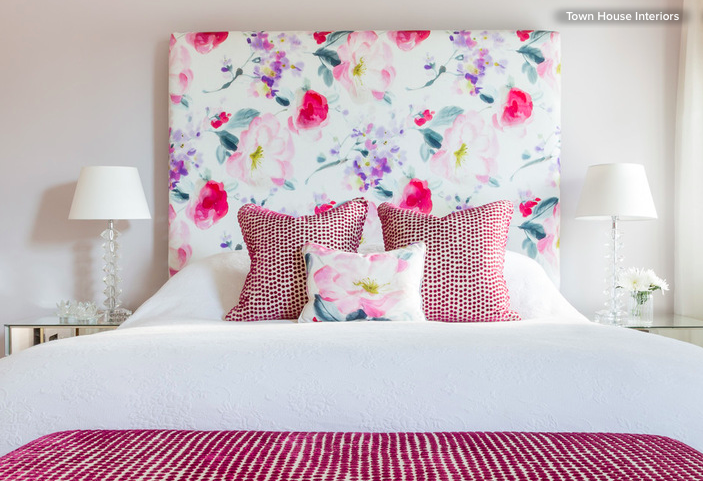 As well as bed linen, consider an attractive headboard – this floral number makes the bedroom positively bloom. A bookcase full of brightly hued tones lends both colour and character to a neutral room. For added impact, colour-coordinate your book collection and surround it with other bold accessories. If you’re searching for the quickest and easiest way to add colour to your home, look no further than fresh cut flowers. You don’t need many to add bright colour to a neutral space – a few blooms in a jam jar can work wonders. Display them in every room for an easy, immediate lift. You might not be able to change the colour of the room, but you can colour everything in it. Curtains, rugs and upholstery in bold hues will draw any focus away from neutral walls. You might not be able to pull out the lighting, but you can change what covers it. Lampshades, especially in rented properties, generally aren’t the most inventive of accessories and replacing them is a great way to infuse colour and personality into a room. 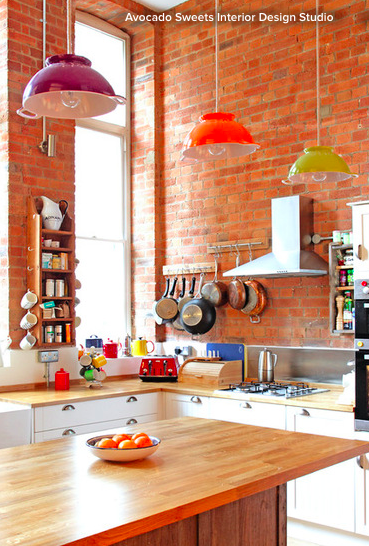 Be inspired by the customised colander shades in this chirpy kitchen.